Two ballads. 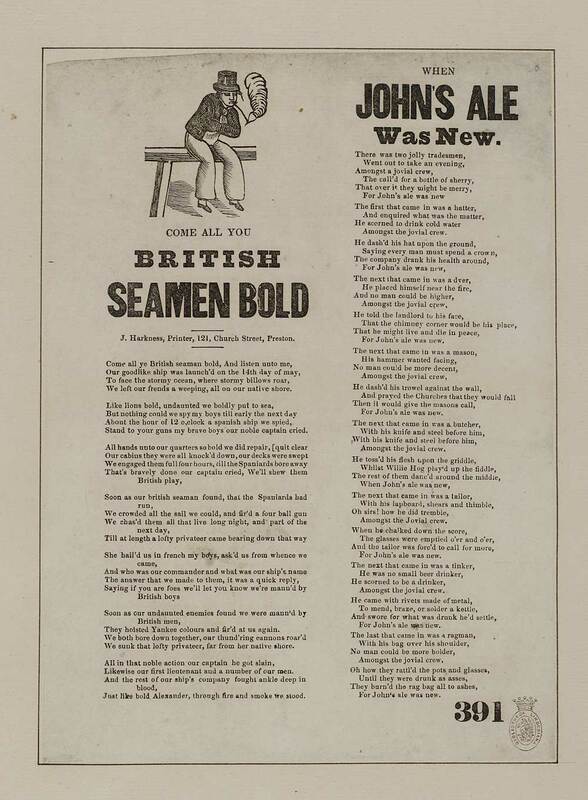 Come all you British seamen bold - first line reads: Come all you British seaman [sic] bold, And listen unto me. When John's ale was new - first line reads: There was two jolly tradesmen.